The S1 is only about 4.5 inches wide, so it is relatively small, making for a compact, easy-to-handle camera. 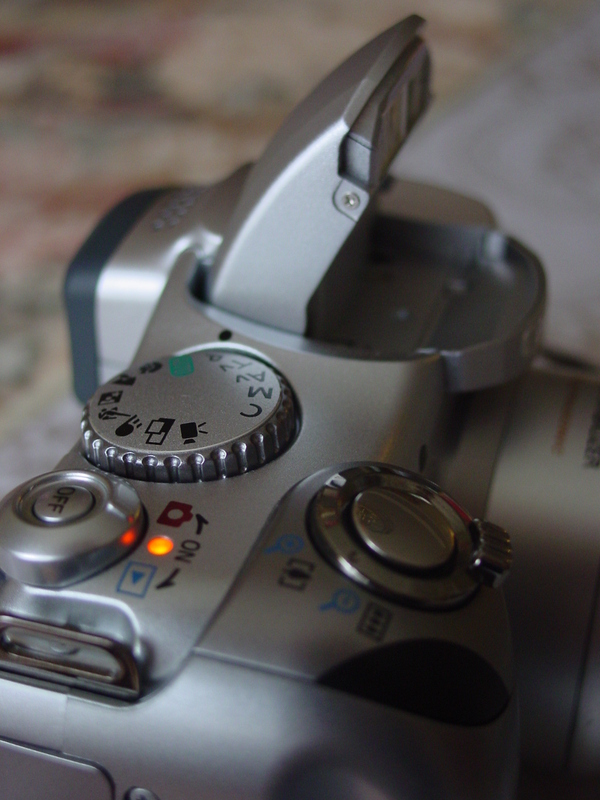 Pictured above is the top-right part of the camera, which is the area right above the grip. The large dial by the flash is the mode dial, which can cycle through auto, creative, and preset picture-taking zones. The smaller dial directly to the right of the mode dial toggles between shooting and playback modes, and also contains the off button. The remaining dial contains the zoom lever and shutter release. The black teardrop-like area by the shutter release is the wireless receiver. The left side of the camera is much less cluttered than the right. Above the circular on-board speaker are two small buttons: the flash toggle and another button which alternates between single and continuous shooting, self timer, and wireless shutter release. 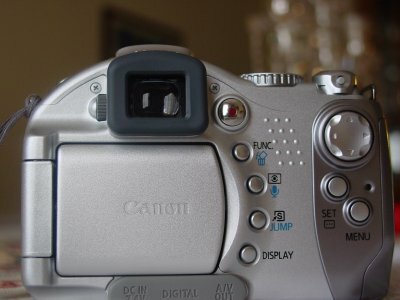 The manual focus and image stabilization buttons are located on the side of the lens for easy access with the left thumb. The back of the S1 contains a small directional pad with the AF-selector and menu buttons below it. Running along the right side of the LCD from top to bottom are the movie, function, light metering, shortcut, and display buttons. The function, light metering, and shortcut buttons also double as the single-frame erase, microphone, and jump buttons respectively. 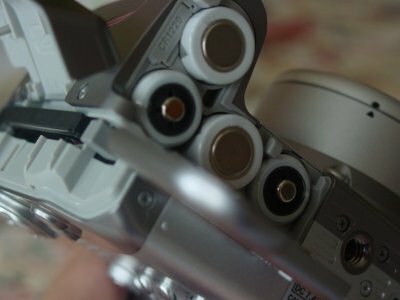 Finally, the bottom of the camera contains the battery compartment (the S1 takes four AA batteries) and tripod socket. Notice also the CF slot built into the grip.